Ashdod Maritime (Azotus) was the ancient harbor of the city of Ashdod. 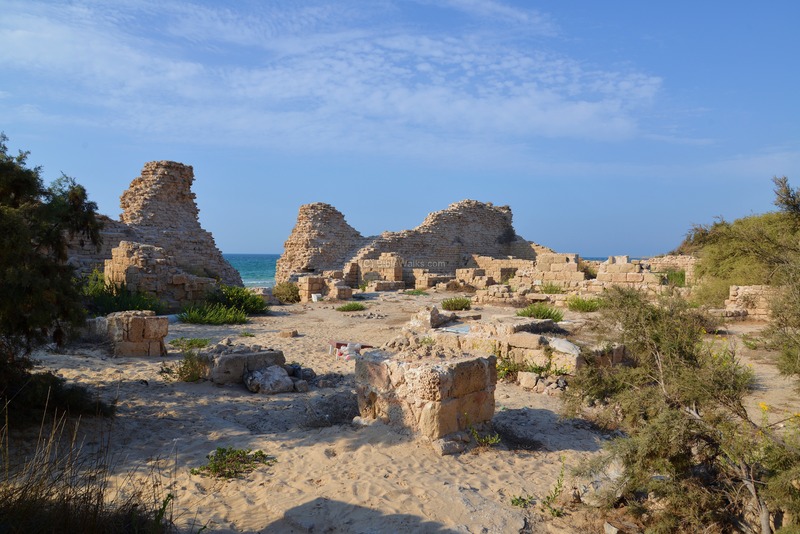 It is located in the sand dunes on the southern shore of Ashdod. The site of Ashdod Maritime (Hebrew: Ashdod Yam) is located on the coast, west of the inland city of Ashdod (Tel Ashdod, which is 4km away from the coast). 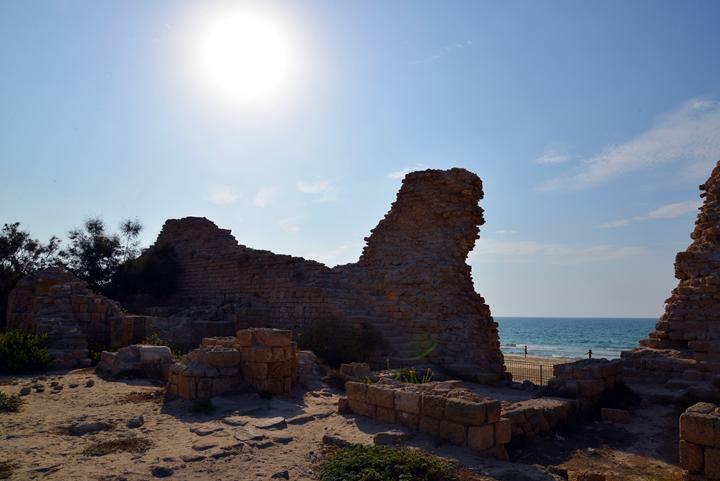 It served as the city's harbour since the Iron Age (8th Century BC), replacing the older Canaanite port located in the north of Ashdod (near Tel Mor). The harbour continued to function through the Hellenistic and Roman-Byzantine period (renamed Azotus), up to the Crusader period. Ashdod Yam is located on the western side of the modern city, and covers a large area - 2KM north to south, and about 1.5KM east to west. There are three cities buried in the sand in different segments (ordered from south to north, which is also in chronological order) - an Iron Age city on the south mound, a Roman-Byzantine city buried in the sand dunes in the center, and an Islamic-Crusader fortress on the north side. The Philistines: The "Sea Peoples" from the Aegean sea landed in Canaan and Egypt in waves of invasions during the 12th C BC, and settled along the eastern shores of the Levant - a region called "Pleshet", named after the Philistines (Hebrew: Plishtim). They became the arch enemies during the period of the Judges (12th-10th C) and the Israelite Kingdom (10th C - 6th C). Ashdod was one of their main cities, located inland along the Via Maris road. 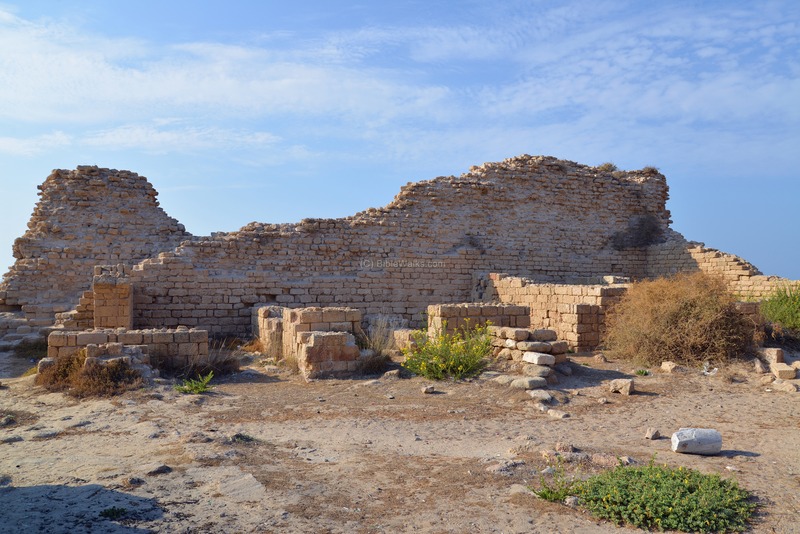 The port city of Ashdod was first located on the north bank of Lachish stream, in the site now called Tel Mor, where the Canaanite harbour city was located since the 16th Century BC. This was a natural anchorage which was located at the river estuary (where the river meets the sea). However, it size was small and did not fit the maritime activity of the Iron Age. During the 8th Century the Philistines established a new large fortified port city 7km south-west of Tel Mor, on top of a raised mound. The bow shaped city was surrounded by huge ramparts, high and wide walls and a moat. The thick walls (3-4.5 wide) were made of sun-baked mud bricks. 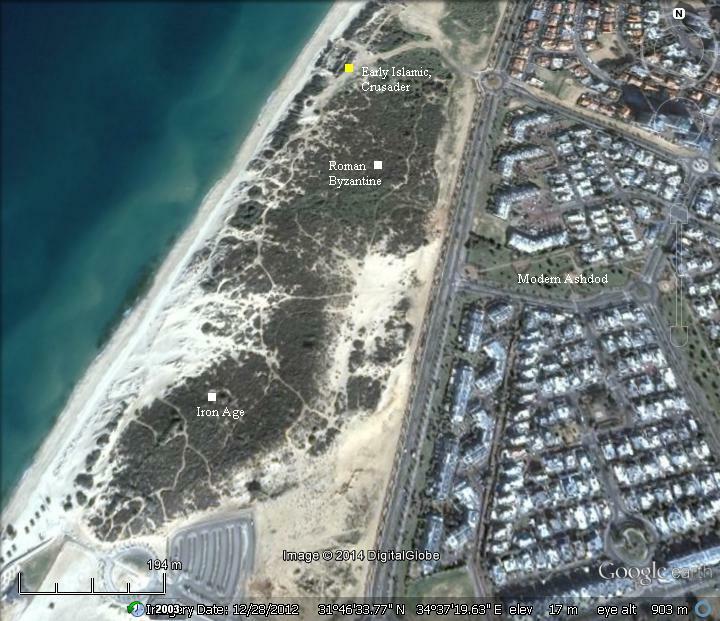 The exposed area is seen in the southern area of Ashdod-Yam, covering an area of 150m by 450m (67 dunams, 7 hectares). However, it is assumed that the northern section is buried under the area of later periods. 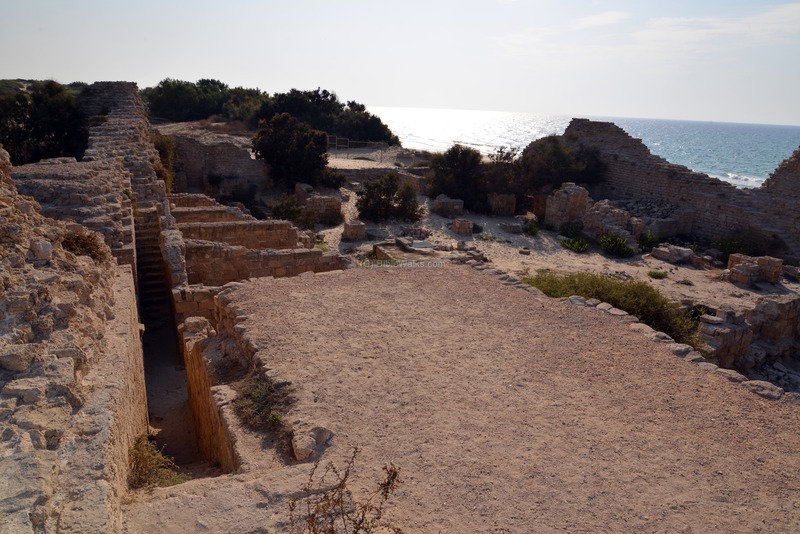 Therefore, it is assumed that the total area of the Iron Age city was 150 dunams (15 hectares), which covered the whole area from the southern side to the area north of the Medieval fortress. The anchorage area has not yet been identified, and its assumed that the harbor was not built, as no breakwaters were found. The large ships would have anchored in the open sea, the small boats would have unloaded the cargo and ship them inland. It is not known when exactly the transition was made. According to some scholars this was before the Assyrian conquest, while others regard the new site as a new stronghold that was constructed in the eve of the conquest. The Assyrians reached Ashdod and made the Philistine cities - from Jaffa to Raphia - a kingdom subdued and raising taxes to the Assyrians. The main city of the Philistine-Assyrian kingdom was Ashdod (the inland city, south of Ashdod-Yam). During this conquest, both the old and new harbors of Ashdod-Yam were besieged and conquered. In the excavations of Tel Mor, the last Iron Age layer is dated to this destruction. 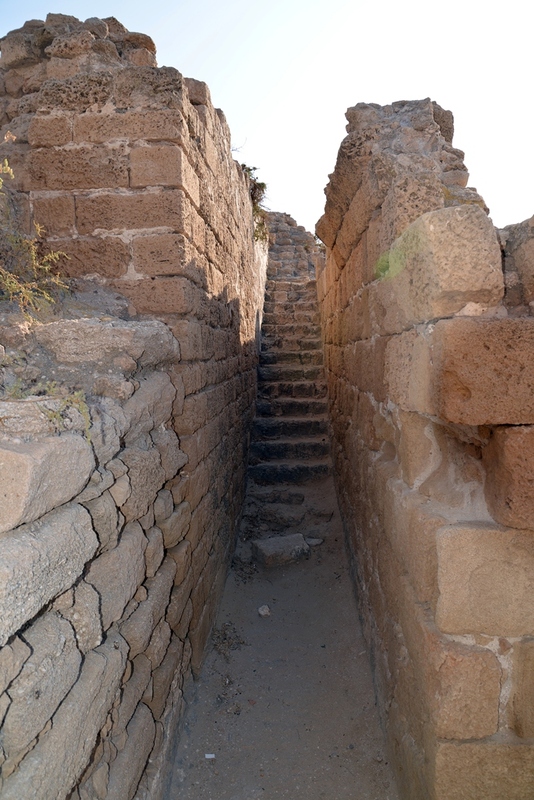 In the excavations of the new harbour city, massive Iron Age walls were found, which may have been destroyed by Sargon II. After the Sargon II destruction, the Assyrians deported some of the population, replacing them with newcomers. They rebuilt the port city and named it Asdudimmu, preserving the ancient name. Sennacherib's intrusion (701 BC): Following the death of the Assyrian King Sargon II, the Judean King Hezekiah mutinied against the Assyrians, joining other cities in the area in another attempt to free themselves from the Assyrian conquest. 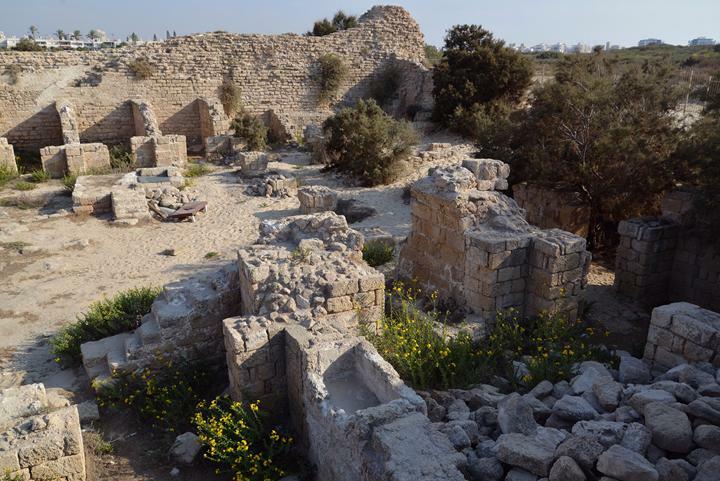 Two Philistine cities joined Hezekiah's mutiny: Ashkelon and Ekron. Hezekiah crushed the other Philistine cities that refused to join the mutiny (2 Kings 18:8): "He smote the Philistines, even unto Gaza, and the borders thereof, from the tower of the watchmen to the fenced city". 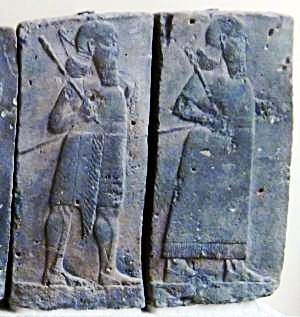 The Assyrians ruled Ashdod for 100 years, and were followed by the Babylonian empire (630BC-538BC) and the Persians (538-332BC). Ashdod was conquered by the Babylonian king Nebuchadnezzar in 604 BC, and the city was destroyed. Its people, as well as the residents of the other Philistine cities, were relocated to Mesopotamia. This ended the 600 years of the Philistine presence in Israel. 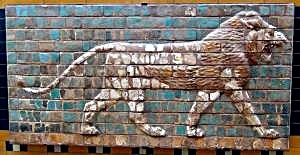 The new power - the Persian empire - replaced the Babylonians in 538 BC. Their King Cyrus allowed the exiled Judea residents to return to Jerusalem and rebuilt the area around it. However, Ashdod and Ashdod-Yam remained outside of the small Jewish region. During the Persian period, the former cities of the Philistines were resettled by the Phoenicians who excelled in Maritime commerce. 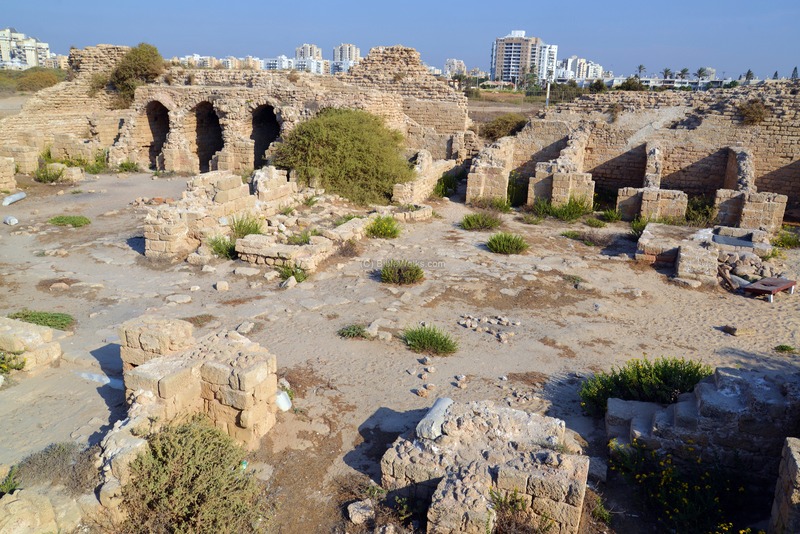 The city was under the patronage of the Phoenician port city of the Tyre. The Phoenicians in return served the ruling Persian empire with Maritime services. 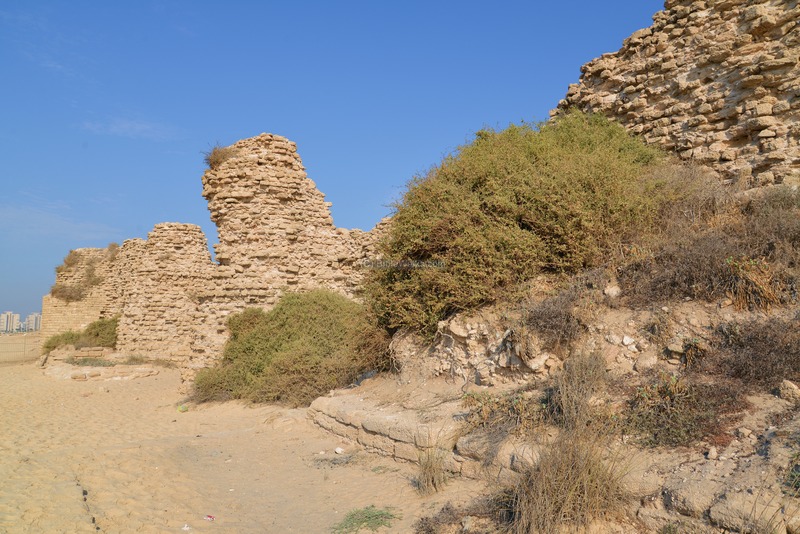 When Alexander the Great arrived to the area (332BC), Ashkelon surrendered and was not harmed, unlike nearby Gaza which was totally destroyed after 2 months of siege. 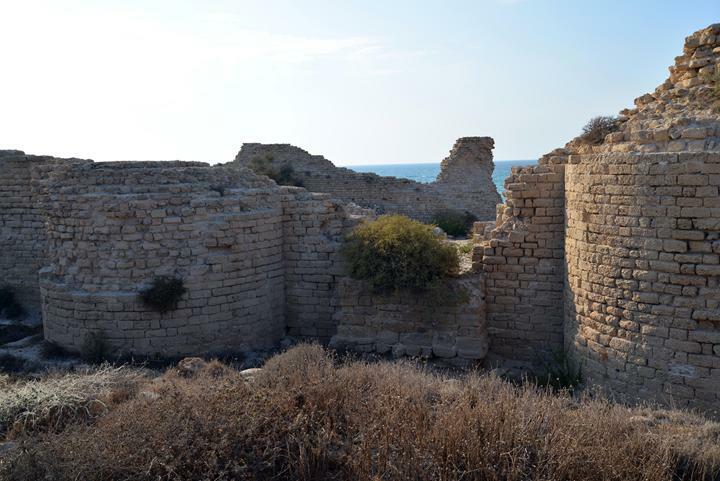 The former area of the Philistines - Pleshet - was now called by the Greeks "Paralia". After Alexander's death (323), the area was torn and switched sides between the two Greek empires - the Ptolemy-Egyptian and the Seleucids-Antioch. Major battles occurred between the sides, starting from the battle near Gaza (312 BC) with the victory of the Ptolemy kings, who ruled the Levant (Israel and Syria) for the following 114 years (312-198). Several wars were conducted between the sides (276-255, 219-217), and the Seleucids finally defeated the Ptolemy army in the battle of Banias (198 BC). This gave them a control of the Land of Israel. The Hellenistic city buildings were built during the 4th to 2nd Century BC over the ruins of the Iron age city, which were destroyed by Sargon II. The city was destroyed in the second half of the second Century, perhaps due to an earthquake, or by the Hasmoneans. The Maccabees headed the anti-Hellenization rebellion against the Greek Seleucids who controlled the land of Israel during the second half of Hellenistic period (4th C - 1st C BC). After a series of successful military campaigns they took control of Judea, liberated the land and created an independent Jewish country, known as the Hasmonean Kingdom (164 BC to 63 BC as independent state, and 63-37 BC as rulers under Rome). The southern coast cities of Israel were important targets during the following years of the Hasmonean expansion. 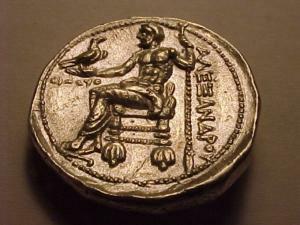 In 145 BC Jonathan Maccabee captured Ashdod (inland?) and killed 8,000 (Antiquities 13, Chapter 7:4): "But Apollonius, when he heard that Joppa was taken by Jonathan, took three thousand horsemen, and eight thousand footmen and came to Ashdod; ... Upon which Jonathan pursued them as far as Ashdod, and slew a great many of them, and compelled the rest, in despair of escaping, to fly to the temple of Dagon, which was at Ashdod; but Jonathan took the city on the first onset, and burnt it, and the villages about it; nor did he abstain from the temple of Dagon itself, but burnt it also, and destroyed those that had fled to it. Now the entire multitude of the enemies that fell in the battle, and were consumed in the temple, were eight thousand". The Hasmoneans retreated from the area, but later captured it in 103-102 BC during the campaign of Alexander Janneus. The Roman general Pompey captured the land in 63 BC, and rearranged the territories (Ant. 1 7:7). The coastal area was removed from the Hasmonean Kingdom's territory. During this period, the inland Ashdod ("Azotos Mesogaias") was gradually abandoned and the center moved to the shore side Ashdod-Yam ("Azotus Paralios"). Herod the Great, King of Israel under the Romans (37BC - 4BC), received the area of Ashdod in 30BC as a gift from Augustus Caesar. After his death (4 BC) the area was inherited by his sister, Salome (Shelomit), and remained under Judea control. During the Great revolt (67-70 AD), the city was captured in the first year by Vespasian's army (Wars 4 3:2): "...Vespasian from Cesarea to Jamnia and Azotus, and took them both". The large Roman city covered a smaller section of the former Iron age city, mostly south of the Medieval fortress. It was about 150m long, fortified and protected by high towers. During the Late Roman period and the Byzantine period, many of its people converted to Christianity. In Azotus Parolios was a seat of a bishop (Episcopus), serving the Byzantine province called "Palaestina Prima" (established in 390 AD). In 637 AD Ashdod was conquered by the Arabs, completely destroyed, ending its Christian population and importance. During the 9th Century, probably during the time of Umayyad Caliph 'Abd al-Malak (685-705), a new fortress was built on top of the ruins of a Byzantine structure, and named "Minet el Qal'a" - the Citadel of the harbour. 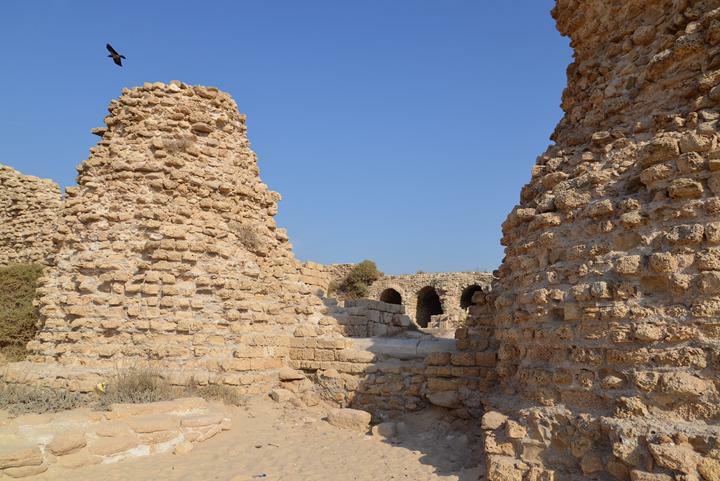 This was one of the fortresses and coastal towers (called ribats) that were built along the frontier, having a visual contact proximity for relaying alerts to the district capital (Ramla). This defense line was aimed at defending the region against Byzantine raids from the sea. 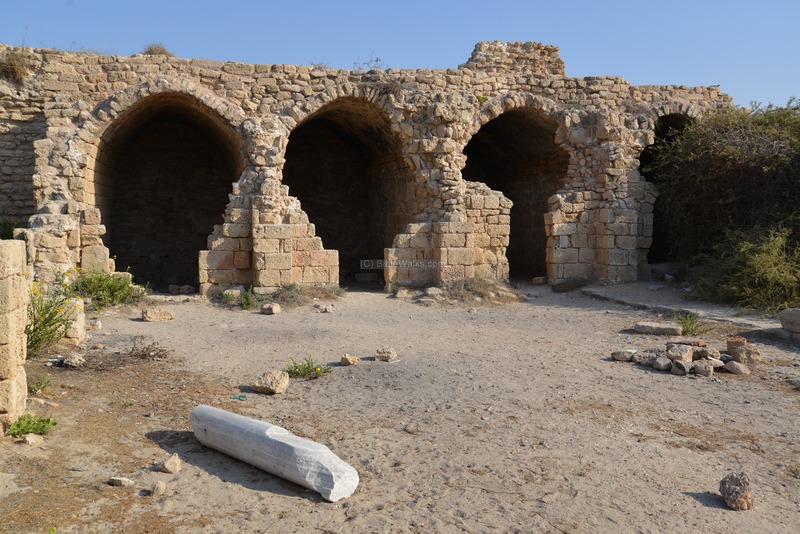 The ribats also served as hostels (Caravanserai) for the voyagers along the coastal road. The fortress was destroyed by the earthquake of 1033. The Crusaders renovated and reoccupied the fortress (1131-1141). They named it: Castle Bernard (Castellum Beroart; Castellum Beroardi). The source of this name is not known. 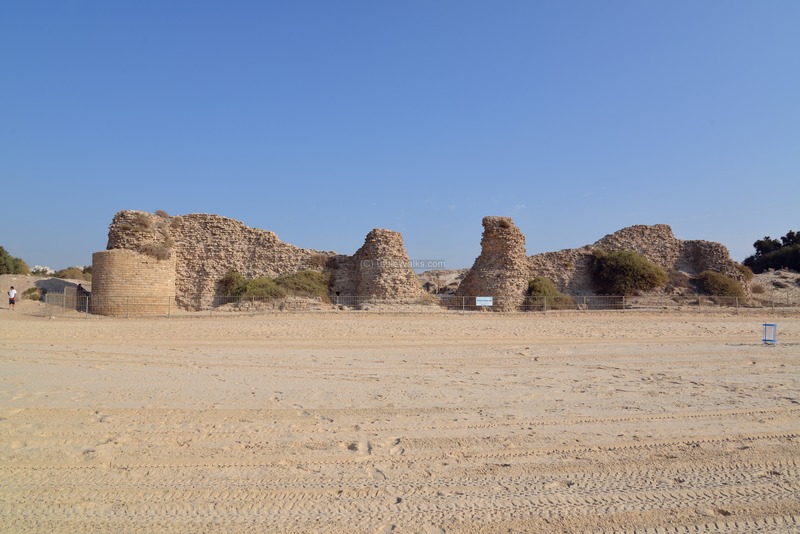 The fortress was ruined in 1290 by the Islamic forces that defeated the Crusaders. The principal ruin is a square fort, which is, according to the natives, ancient, and the masonry and cement of which resemble those of the walls of Ascalon. It is certainly more ancient than the time of Ibrahim Pacha, who erected other buildings along the coast. The building measured 180 feet north and south, by 144 feet east and west, outside, and had a round tower at each corner, and on the east and west walls towers flanking a sea and land gate. Seven of these towers remain. The west wall is nearly perfect, but the southern is broken down, and the other breached. The towers are 17 feet diameter, the wall 5 feet 6 inches thick, and the gateways 12 feet wide. The masonry used is small, and of a soft sandy limestone from the cliffs near. The joints are well made, and the cement the same found at Ascalon, very hard, white, and full of shells and ashes. This building stands on the shore, only a few feet above the water. In the outer wall near the north-west corner, near the base, is a stone on which are the letters EΔOM. Behind the castle, on the sand-hills, are traces of a considerable town. There are no cliffs near the spot, so that it affords a good site for a harbour town. South of the castle, also close to the shore, scattered stones and foundations exist, and the sand-hills are strewn for some distance with numerous fragments of broken pottery. Remains of a tessellated pavement were also found in the ruins. Near the town on the south-east there is a ruined rubble cistern, circular, and 10 feet diameter, having a domed roof of similar rubble work, in good cement full of shells. This consists, in fact, more of cement than of stone, the stones used being small and friable. There can be no doubt that this was an important place, apparently in the Middle Ages, judging by comparison with other ruins in the plains. A series of exploratory digs were conducted in the ancient Tel in 1965-68 by Dr. J. Kaplan. New excavations, headed by A. Fantalkin of Tel-Aviv University, started in 2013, with finding of an Iron age fortifications which may have protected the ancient harbour. The Medieval citadel was excavated by the IAA in 1997-1999. The area of the ruins is mostly covered by sand dunes, an open area with access to the beach. The Medieval fortress is protected by a fence and currently closed for visits. 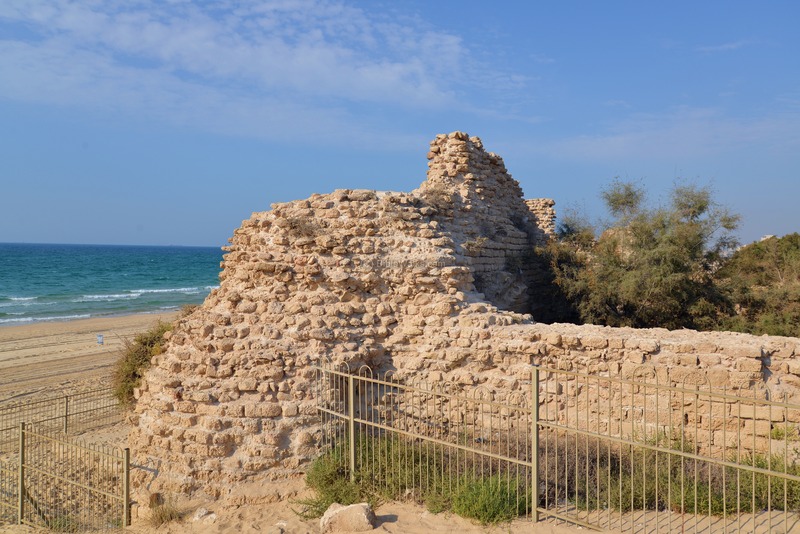 Ruins of a medieval citadel ("Minet el Qal'a" - the Citadel of the harbour) are located along Ashdod's southern seafront . The condition of the ruins is in a relative good shape, as they were underwent conservation work and are now protected by a fence. This quad copter view from the east side shows the plan of the fortress. Four towers are seen on this side - two corner towers and two smaller gate towers in the center flanking the sea gate. The western side facing the seafront is seen in the following photo. The walls reach a height of 7.5m above the ground. The sea gate is located in the center of the wall, as indicated by a yellow square on the right. The gate is flanked by two semicircular gate towers. A section of the northern gate tower is seen below. Notice the steps on the inner side, that ascended to the top of the tower. The northwest corner tower is seen below. As reported by the SWP survey: "The west wall is nearly perfect, but the southern is broken down, and the other breached. The towers are 17 feet diameter, the wall 5 feet 6 inches thick, and the gateways 12 feet wide". Another gate is located on the eastern side, as marked on the right with a yellow square. The gate walls on this side are well preserved. The gate in the center of the photo below is flanked by the two semicircular towers. On top of the wall, above the gate, is a great view of the fortress. Along the walls are arched vaults, with a total of 10 rooms along the eastern side. 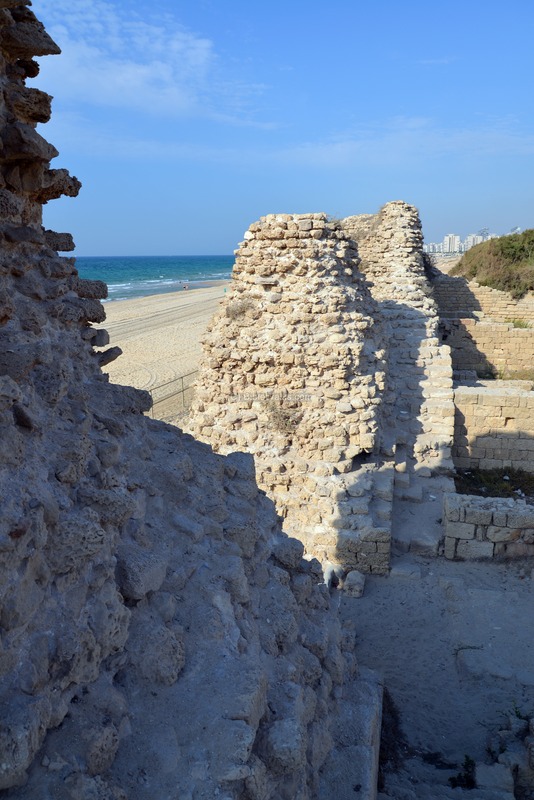 This photo shows the inner side of the eastern wall, with the modern buildings of Ashdod in the background. A closer view of the vaults under the north eastern wall. Two stories of storerooms and other rooms are built within the fortress. Notice the marble column laying in the courtyard. During the construction, it was removed from the Roman ruins and reused as a support for the well. A view of the south side of the fortress is below. Notice the stairs that once led up to the second story. Two wells are located in the courtyard, which were the source of the water supply. The southern well is seen on upper left side of the photo above, and shown in larger detail here on the right. Four steps ascended to a 1m high platform, built over the round (1.1m diameter) well. Two marble columns, in secondary use, stood on the side of the platform, serving as the support for the pump. The water was pumped to a pool, where the sand settled, then channeled to a reservoir located on the south side of the well. A view of the north western side is below. A bathhouse was located on the north side, which included two plastered baths, a well, and an installation for warming the water. The Israelite period and Roman/Byzantine periods covered the area south of the fortress. 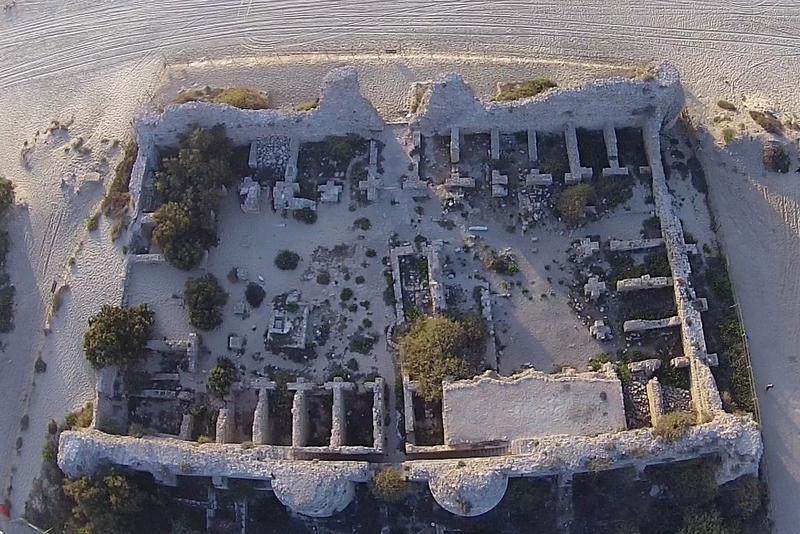 The view below was captured by a quad copter from the area above the fortress. Photos of the new excavations of the southern mound of Tel Ashdod Yam will be added in the future. Ashdod Yam - Hebrew: Yam - sea. 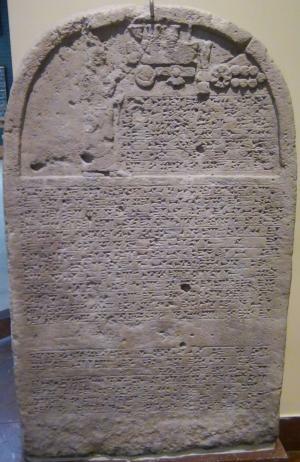 Asdudimmu - Assyrian name of the port city.